All of Louis' thoughts are very important to him. In fact, his thoughts are so important to him that when he has something to say, his words begin to wiggle, and then they do the jiggle, then his tongue pushes all of his important words up against his teeth and he erupts, or interrupts others. 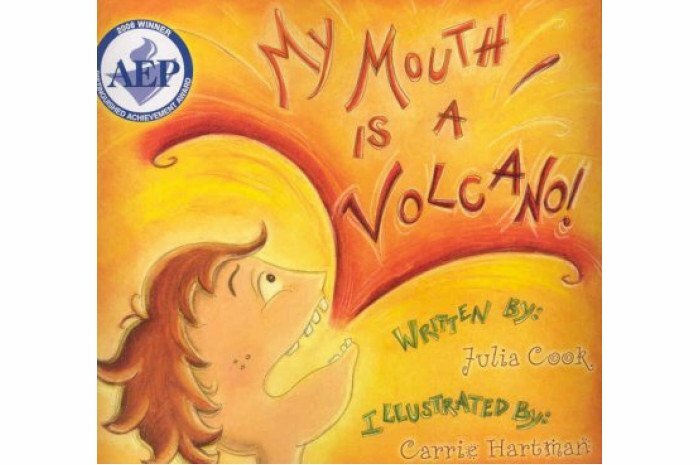 His mouth is a volcano! 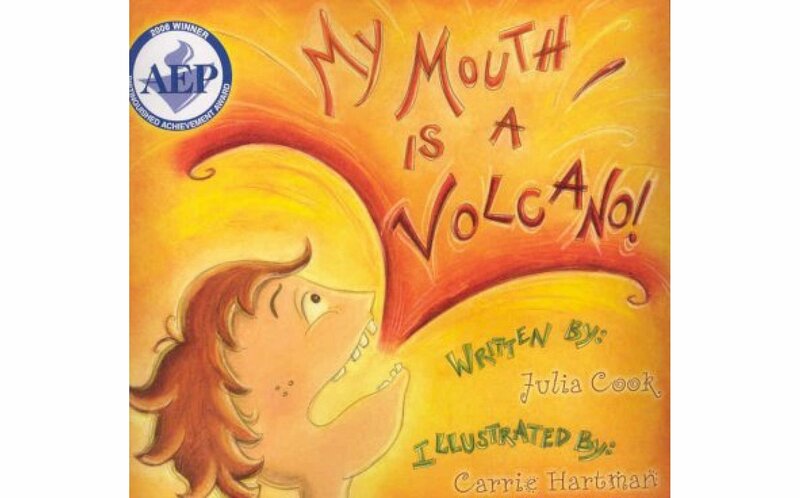 My Mouth Is A Volcano takes an empathetic approach to the habit of interrupting and teaches children a witty technique to capture their rambunctious thoughts and words for expression at an appropriate time.